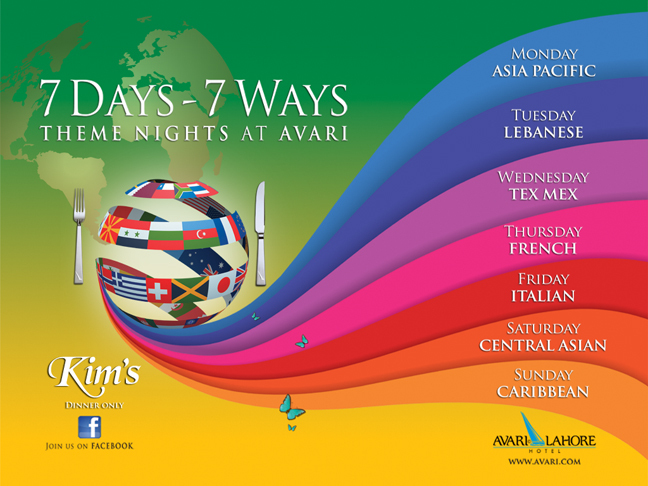 Kim's, at Avari Lahore, is a refined, yet casual restaurant which provides a relaxing and comfortable dining experience twenty-four hours a day. 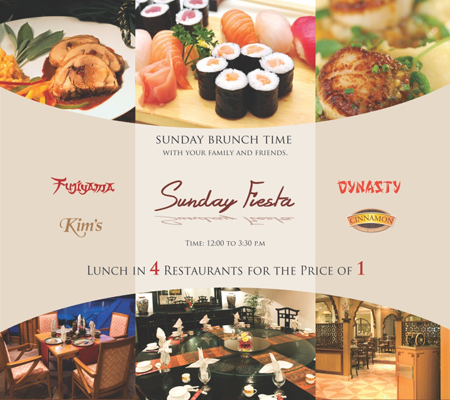 Located adjacent to the newly built and dramatic spiral staircase and fountain, Kim's provides a peaceful and refreshing ambiance for breakfast, lunch, dinner and anything in between. 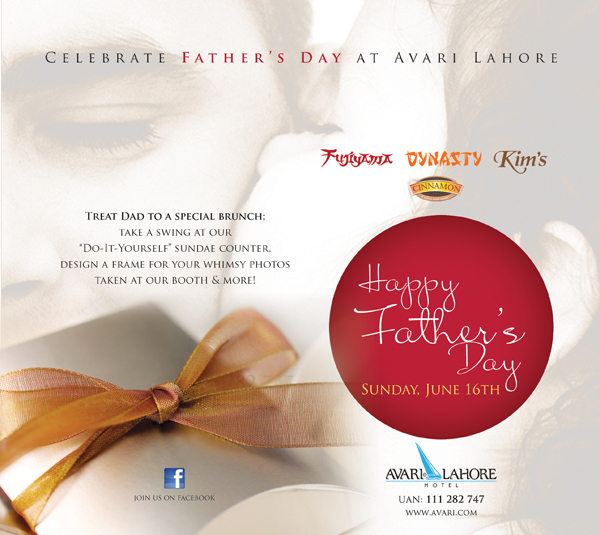 Kim's is named after Kipling’s character in his classic novel "Kim" and offers an impressive selection of continental and Pakistani favorites from the well-appointed buffet and a’ la carte. The attentive and friendly service nicely compliments the comfortable surroundings to create pleasant and rewarding experience. The traditional arches and Mughal paintings of this newly renovated eatery add a touch of warmth to the cotemporary furnishings and table settings to create a combination which is both fresh and comfortable as well as cultural. Background music of traditional Indian and Pakistani classics add a refined yet energizing touch, while the Piano player entertains guests intermittently throughout the day. Soothing sounds of water flowing from the fountain add a spa-like quality which is unique to Kim's. High quality ingredients and fresh organic produce is used whenever possible to offer diners exceptional and healthful cuisine that can only be found at very few restaurants in Lahore. International hygiene standards are of utmost important at Kim's, which is evident by the food handing practices and impeccable cleanliness of the kitchen. All which can be seen through the large glass separating the kitchen and restaurant, inviting onlookers to admire the on-the-spot cooking and friendly, talented chefs. Live Music: Yes, piano in the evening from 8pm to 11pm. What to Expect: A relaxing upscale atmosphere, an attentive and friendly staff and a nice selection of international dishes & Pakistani.